Rising Glasgow quartet The Van T’s return with their blistering new single Control, out on 1st May 2019 via Big Indie Records. Brimming with a snarling attitude, the single combines elements of grunge, surf-rock and hazy psychedelia to create the band’s trademark stadium-ready sound. Twin sisters Hannah and Chloe Van Thompson’s (guitar, vocals) swirling harmonies compliment each other effortlessly, sounding akin to the likes of Honeyblood or Bleached. Feedback-drenched guitar riffs, pulsating drum beats and raw impassioned vocals are at the forefront, once again showcasing The Van T’s’ ability to create an undeniably killer sound. Since forming in 2013, Hannah, Chloe, Joanne Forbes (bass) and Shaun Hood (drums) have gone from strength to strength. They have received praise from a plethora of well-regarded publications including Noisey, Consequence of Sound, Clash Magazine, The Line of Best Fit and DIY, as well as BBC Radio 1’s Huw Stephens, BBC Radio Scotland’s Vic Galloway and Radio X’s John Kennedy to name a few. They have supported the likes of Wolf Alice, The Jesus and Mary Chain, Sunflower Bean and Clean Cut Kid and have also appeared at festivals such as T in The Park, where they headlined the BBC Introducing Stage, Electric Fields, The Great Escape, Live At Leeds and TRNSMT. Catch The Van T’s live next on Wednesday, 8th May 2019 at London’s Two Tribes Brewery in association with Big Indie Big Nights. 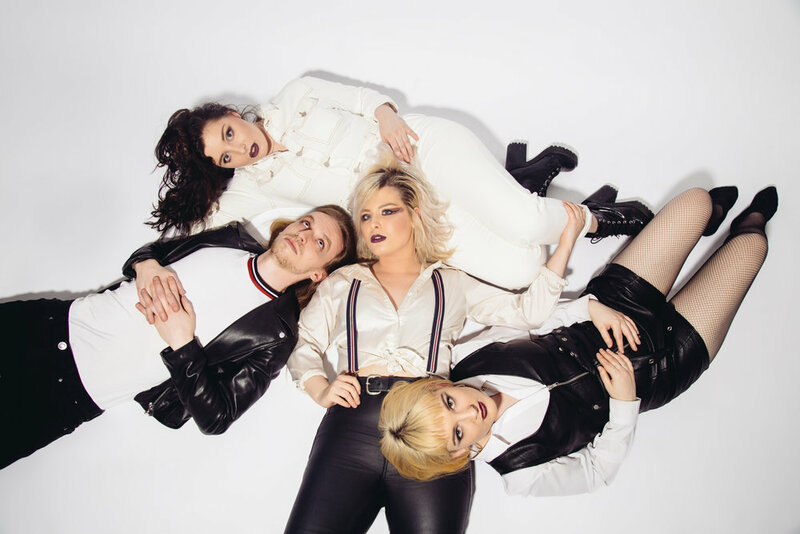 They will also be returning to Brighton’s Great Escape Festival in May, as well as supporting Foo Fighters at Bellahouston Park in Glasgow on 17th August 2019. Control is out on 1st May 2019 via Big Indie Records.